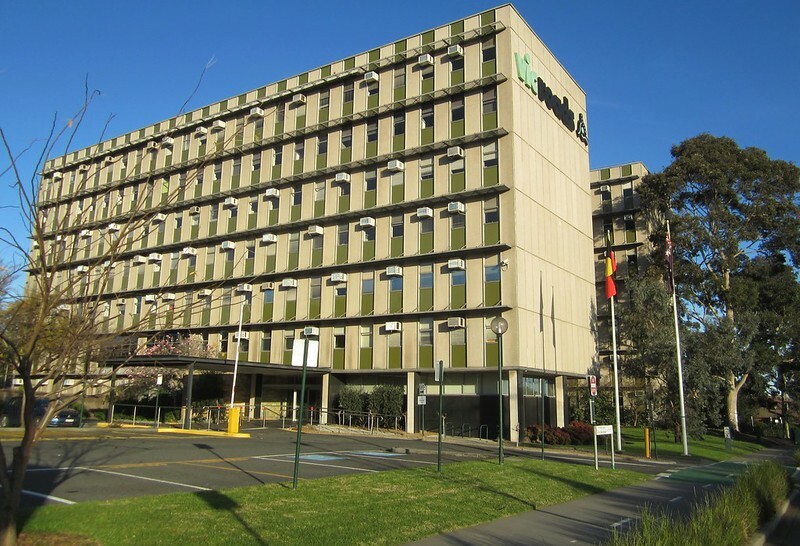 How accessible is Vicroads HQ for non-car users? Vicroads are doing some good stuff. While some cynics might think of them as all about cars, over the years they’ve increased their emphasis on smarter use of limited road space resources, and have steadily improved facilities for pedestrians, cyclists and public transport. And I know from talking to contacts there that they’re thinking very carefully about good transport outcomes. Their SmartRoads strategy is a good example of the direction they’re headed. So to is their proposal to narrow Mountain Highway in Bayswater when the level crossing is removed, to improve conditions for pedestrians, including shoppers. They’re not perfect — their proposals for Punt Road/Hoddle Street raise concerns: despite apparently getting a lot of feedback about it, there seems to be a plan to move the southbound 246 bus stop further away from Richmond Station, making it almost as bad for interchange as the northbound stop… and they’re certainly not fixing the latter. I happened to be walking past their head office in Kew a few weeks ago. Perhaps ironically it’s on the site of the old Kew railway station, which was a branch line connecting with the Ringwood line at Hawthorn. The last train ran in 1952. I was wondering how they treat non-car travellers in and around their own HQ. 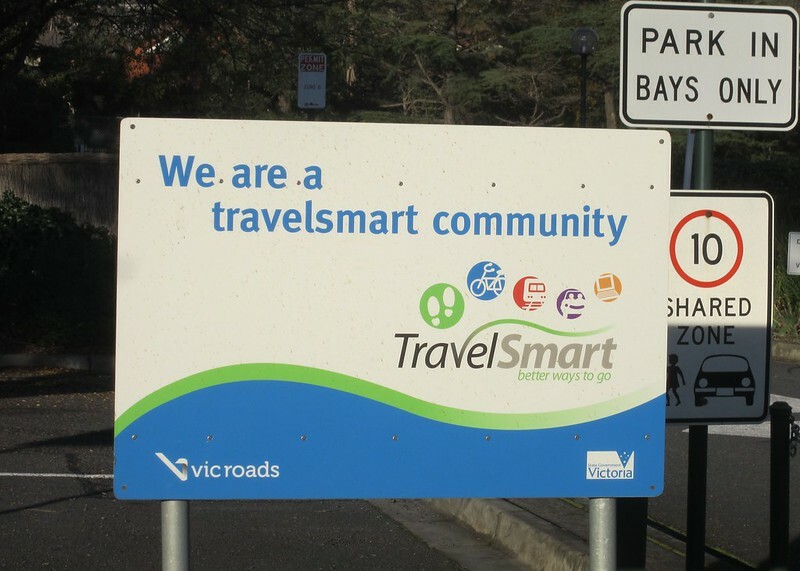 A sign for TravelSmart indicates they’re thinking about how their own people get to work. But what about actual practical facilities for non-car users? There’s a bike path out the front. It’s not very long, but it does seem to link to paths towards the city along nearby Stevenson Street. 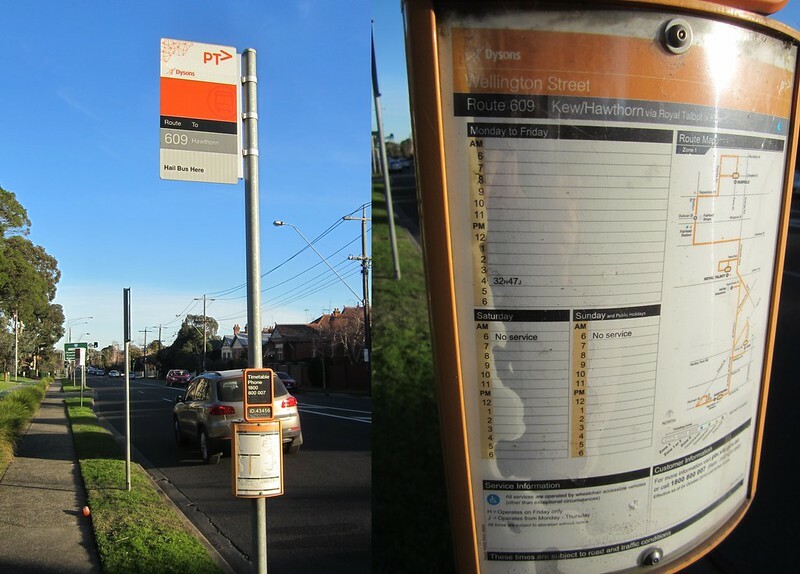 Nearby there’s another outdated (two operators ago) bus stop sign for one of the schools services. According to current operator Transdev, all these routes have been renumbered since October 2015 — from 1xx to Kxx, so the information isn’t even correct anymore. Alas, the traffic light between here and the tram stop is one of those that only gives a green man if the button is pressed (at least on weekends when I was there). And if you miss the start of the parallel green for cars, you have to wait many many minutes for the next one, because the cycle is so long, as Denmark Street is a major road whereas Wellington Street is minor. As I said, I know attitudes at Vicroads are very favourable towards public transport, walking and cycling, at least among their people that I encounter. How this translates into action though… well, clearly at their own HQ, it could be worse, but with even some relatively minor upgrades, it could be a lot better. It’s not only pedestrians who are shafted by access to VicRoads. It’s no good going there by car, either. The visitors’ carpark out the front is usually full, so visitors going to meetings with VicRoads staff (and having effectively no public transport alternatives) have to park in the nearby residential streets and then cross Denmark Street to get to the building. Hmm, not exactly a high level of service for anyone arriving by PT. I wonder if they have a secure bicycle cage and end-of-trip facilities for riders? VicRoads Burwood is served somewhat better by PT. 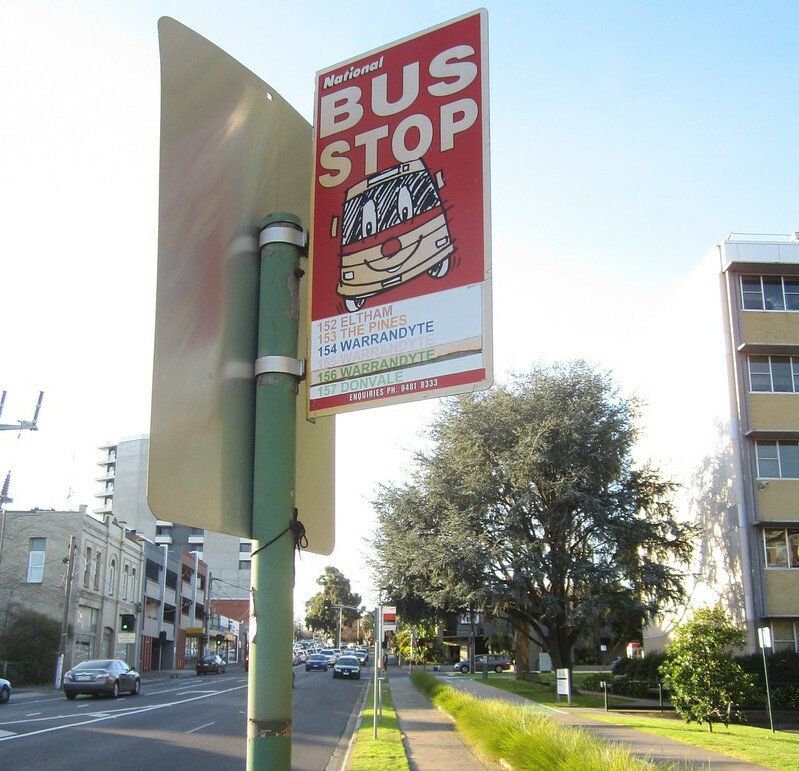 The 732 bus to Box Hill/Upper FT Gully stops outside the neighbouring East Burwood Hall and Basketball Centre, a short walk to the office. The 75 tram runs down Burwood Hwy, and has a stop immediately outside. The bus runs every half hour during the day, and every 15 minutes in peak times. The tram is every 10 minutes. As far as walking and cycling go, this is where the office falls short. There’s not very much except industrial estates around the area, it’s no where near any high street shopping, and there certainly are no bicycle lanes on Springvale Rd or Burwood Hwy to get there!! There is a small easement reserve a couple hundred metres west of the office, but the “path” through the reserve is one worn by use – not deliberately constructed. It’s not wheelchair accessible, and certainly not suitable for a road bike. Interesting that the Blackburn Cycling Club and a Velodrome are provided at the sports reserve next door, but the only way for cyclists to get there are to either mix with 80km/h traffic or drive their bike to the velodrome! Try finding a place to park a truck at a VicRoads! Truck drivers are required by law to carry a work diary (which can only be purchased through the road authority), yet they don’t offer space to park a truck? That is just one example! Intersections that force pedestrians to “apply to cross the street” drive me crazy. Imagine if car drivers had to get out and push a button before the lights would go green for them. There’s also the 200 and 207 bus routes that go through Kew Junction. @Keith, that would be very irritating! @mgm, interestingly the PTV web site timetables show no Wheelchair accessible icons against route 200 and 207 buses. Not sure whether that means they’re not accessible, or the info just isn’t provided by Transdev. Just a quick note, apparently the Swan/Hoddle VicRoads team is aware of the feedback re changing the 246 bus stop, and they’re looking at reversing that to have both bus stops on the north side – as of a few weeks back, from an MTF presentation. No, I won’t wear it at all. VicRoads only makes noises about public transport. Unless it is forced by government, it will do nothing to improve tram and bus travel on our roads. It won’t even maintain existing tram and bus priority systems when they fail. Vic Roads is about cars and roads. I’ve listened to its platitudes for too long, and I should think you have too. Mind, as I did, it is not a bad walk from Hawthorn Station to Vic Roads along the old train route. With the arrival of electric skateboards and bicycles – maybe there could be a network of cycleways and skateways criss-crossing the inner suburbs for people to commute while using much less land. A particular brand of electric skateboard can even take you uphill! So the excuses of the past (not fit enough to go uphill) do not apply. They may wish to cover the cycleway with transparent plastic to protect against rain – it would still be cheaper to have a covered cycleway than the East West link. Maybe the SkyTran thing is cheaper to build than the East West link and therefore 2-way roads should be converted into 1-way roads so that a lane can be used to build a SkyTran line. Regarding the 15x series school bus routes in Kew, they were renumbered because the 2015 Wyndham bus upgrades stole the route numbers. Its only a very small walk from the tram. That would not put me off whatsoever. Vicroads South Oakleigh (close to a couple of bus routes) moved to Heatherton (also closish, but hidden away in a side street). Not sure if this is progress or not. The Google Reviews are … somewhat critical. It’s kind of surprising that the school bus goes at 4:27 and 4:47. 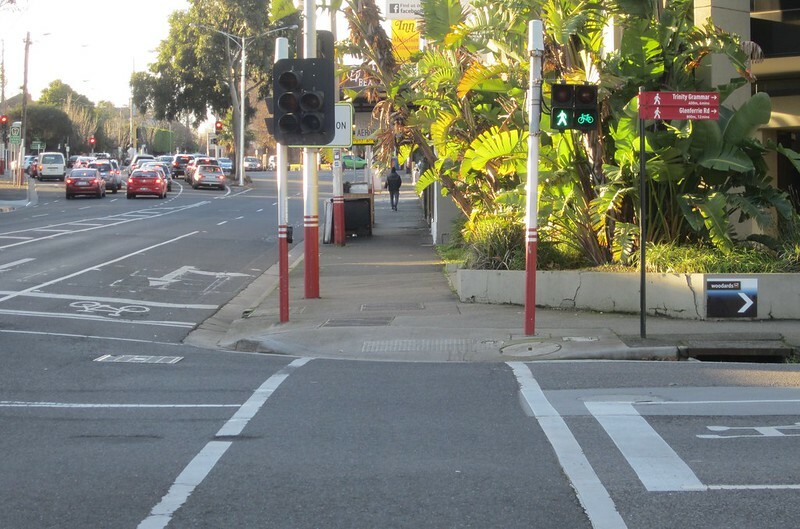 So any improvements that could improve pedestrian throughput must be a long way down their priorities. VicRoads EBA is quite progressive, with a 40% subsidy for any yearly myki pass (including V/Line zones). Also rumour has it that the new regional office in Sunshine (engineering and planning base for the north-west metro) will have minimal free parking, with active and public transport being heavily promoted to those based there.